Here we go again. This week, members of Congress introduced legislation to expand offshore drilling off the Mid- and South Atlantic coasts. The proposal underscores the need for coastal advocates to tell their federal representatives to oppose new oil drilling in our oceans. Senator Thom Tillis and Senator Richard Burr, both from North Carolina, filed an amendment to the Keystone XL pipeline bill requiring the White House to include the Mid- and South-Atlantic in the upcoming 5 Year Drilling Offshore Drilling Program for 2017 to 2022. The ammendment would also provide oil and gas revenue sharing for adjacent states, diverting funds from the federal treasury and incentivizing those states to support risky drilling off their shores. 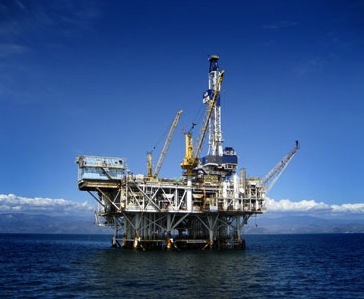 Expanding offshore drilling into the Atlantic would damage the marine ecosystem, as well as industries such as tourism, fishing, and recreation. It would also reinforce our dependence on fossil fuels and increase carbon pollution. If we are serious about stopping climate change, the last thing the Senate should do is support more oil and gas development off our coasts. Finally, the amendment would divert funding from the federal Land and Water Conservation Fund, which provides funds across America to conserve special places and promote recreation. As federal and state leaders have been pushing to open the Atlantic to drilling, Surfrider chapters have been rallying opposition at the grassroots level and passing local resolutions against seismic testing and offshore drilling. Now is an excellent time to contact your Federal Representatives to tell them you support protecting our coasts from offshore drilling!